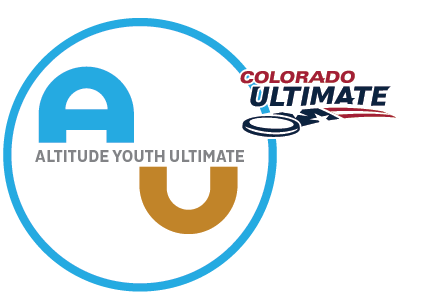 A couple Saturday meetups, where middle school teams can come together to scrimmage each other informally, under supervision of experienced Ultimate coaches from AYU (Altitude Youth Ultimate). Any middle schooler is welcome, girls and boys, in grades 6-8. Cutthroat, the U20 YCC Girls team from Colorado, is a summer club team comprised of girls from all over the state of Colorado. Our season culminates in the YCC Championships in August, and we are excited to have another opportunity to represent our state. However, travel does come with lots of expenses, and we are looking to fund raise in order to ease the burden on some of the awesome girls on the team. We are running a Women's College Nationals Bracket Challenge as our first fundraiser! What is this, you ask? Well it's like March Madness, but for the upcoming D1 Women's College National Championships over Memorial Day weekend. You will fill out your picks for pool play finish, as well as your bracket winners, and submit a $15 buy-in per bracket ($10 for high school students). A portion of that buy-in will go to the YCC Girls team, and the rest will go towards a pot where 1st, 2nd, and 3rd place will win some cash money! In this five week session for boys and girls ages 7 - 14 we will play numerous games to develop fundamental disc athletic skills, teach rules of the game, and always highlight teamwork and sportsmanship. Sponsored by USAU Ultimate and coached and directed by an Elite Player with over 20 years of playing experience and over 15 years of local coaching experience, these sessions are great for new and experienced players. In addition to the registration below, all players will need to fill out a Med Form and Waiver. These can be printed out and brought to the first session of the clinic. Colorado's mixed season wrapped up the weekend of Nov 11th and 12th at Broomfield Commons. Under sunny skies and light breezes, nearly 40 high school teams competed across four divisions.